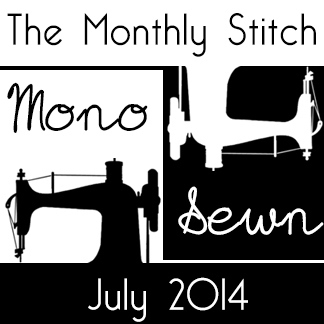 I might blog about the lull at some point, but right now, it’s a sewing blog, so onwards and upwards! I can’t wait to see what all of you have been up to! Feel free to leave a link in the ‘comments’ section of your favourite recent activity, if you like. So, in the meantime…..I finally sewed something! 🙂 BurdaStyle 7221. 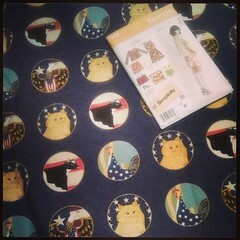 If you follow my blog, you know, I loves me a good research project, and I always research the pattern I’m about to sew. 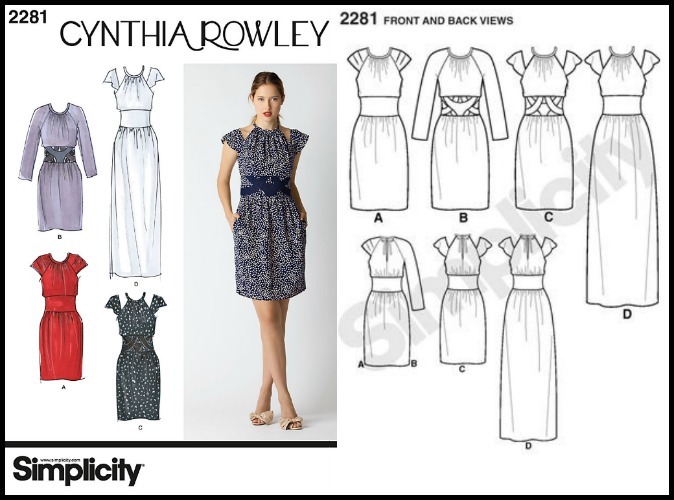 Well, I found absolutely nothing about this dress blogged on any sewing blog and only ONE (1) review on Pattern Review. Anne always says that she selects sewing pattens that others do not, but I have to say, I may have won the “Has Anybody Sewn This Pattern?” prize! 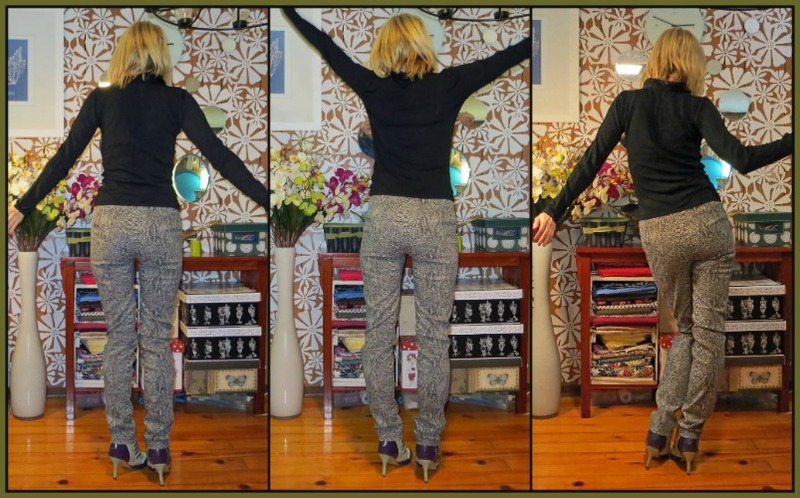 And… I like the pattern and the resulting garment! 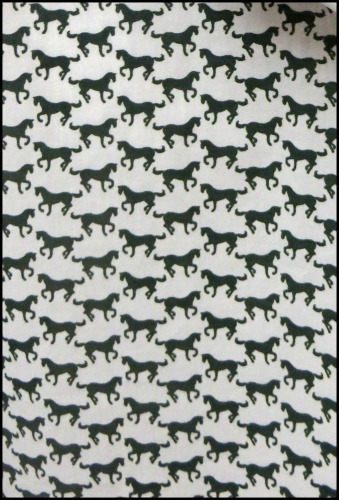 If you’ve sewn this pattern, or if you own it, or even if you’ve had a drunken-stupor induced dream about it, I’d love to hear from you! I used black and white fabric as my entry into July’s The Monthly Stitch Mono Sewn challenge, where we shun colour and sew garments in monochromatic, only black and white. Have you checked out the monthly sewalongs by TMS? They are just getting better and better! Also, to celebrate the Year of the Horse, I used black and white horse fabric for the skirt. To find out more about Chinese New Year and the Year of the Horse, go here. Kitty. 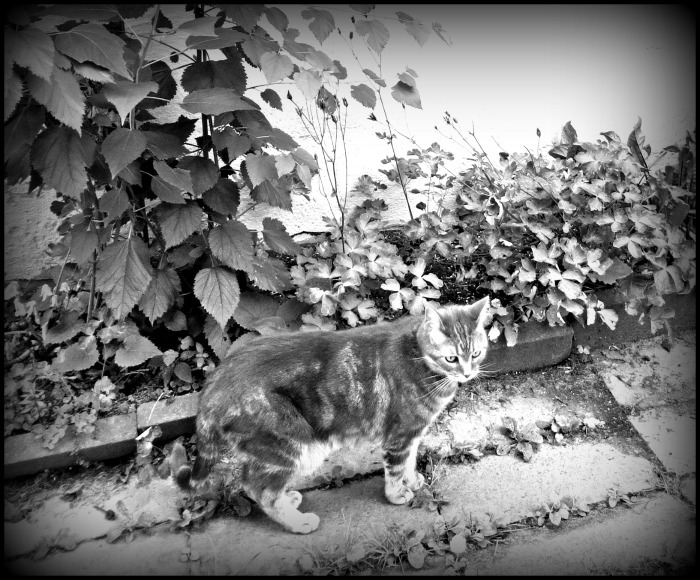 Looking Dramatic in Monochromatic. MODEL POSES. Pose#1: Look far off into the distance at something interesting and/or an emergency. Result: Well, kind of an uncaring raving lunatic, standing there doing nothing but looking at an emergency off in the distance. Pose#2: Come Hither Look / Bedroom Eyes. Result: Fairly self-explanatory. Extremely tired / bored and/or really stoned. The pattern has a self-lined bodice and unlined skirt, but I underlined the skirt horse fabric with the same white fabric that I used for the bodice. This white fabric and I were not friends. It stained SO easily. I bought it in the ‘ends’ bin, so once again, I don’t know exactly what it is. Likely a rayon/linen blend with something else. It has a tonne of lovely drape and is textured. But, I transferred pattern marks with sewing chalk and it stained permanently, I couldn’t wash it out. 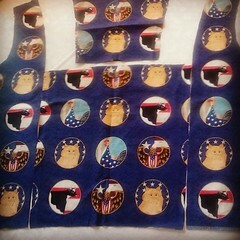 So, I had to re-cut everything but the sleeves. Even just ironing it, would sometimes leave a brown/yellow stain, so I had to use a press cloth. I have no idea why it absorbed everything so easily, but it will likely make it difficult to wear. The horse fabric is a cotton voile, so very transparent, hence the need to underline it. 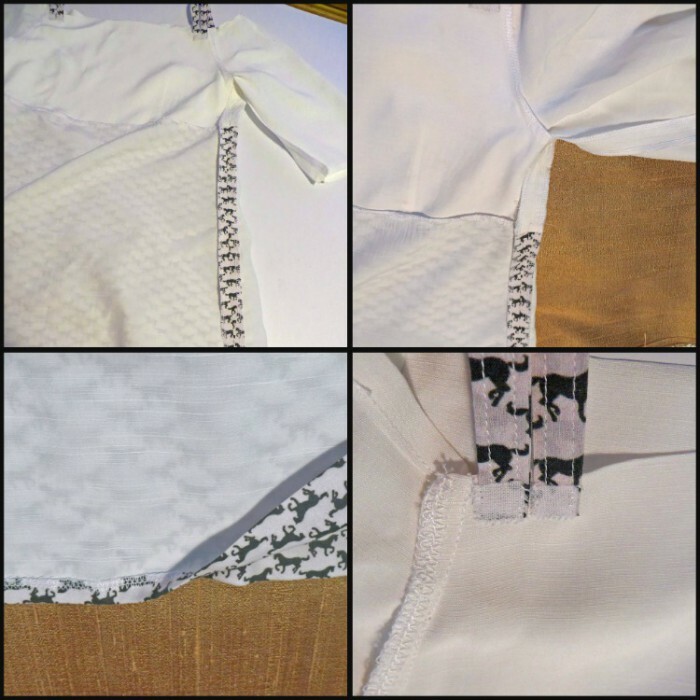 How do you eliminate wrinkles on a garment made with very drapey fabric with a self-lined bodice with darts, and an underlined skirt without creasing the under layer? Well, you can’t really use the iron, since you would have to spend a lot of time shifting, smoothing, straightening, etc. So….you use your new Rowenta Steam Iron! It works really well for getting out wrinkles without creasing the second layer. 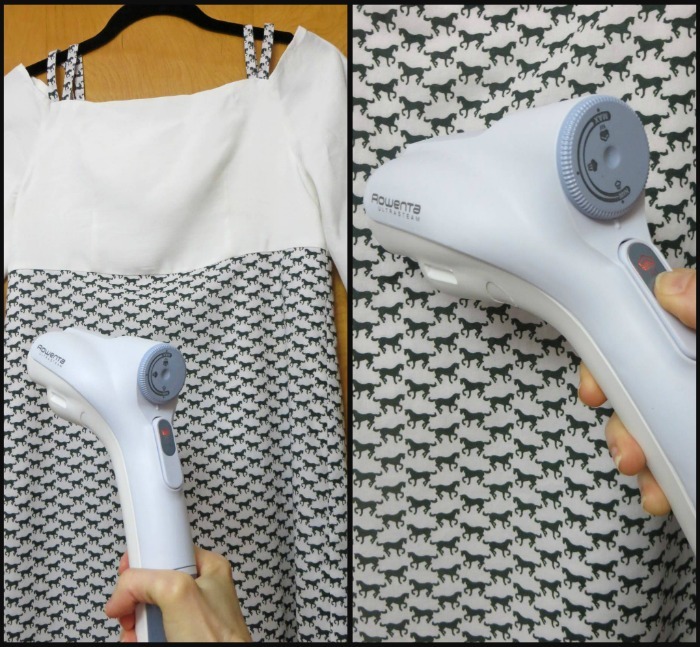 But, with my model (Rowenta Ultrasteam GS2010), you do have to refill the water reservoir rather often if you have a lot of wrinkles. I got mine on sale for a good deal and do highly recommend it! I will definitely be using it for most of my ironing needs. (Keep in mind, you still have to ‘press’ your just sewn seams, the steamer would be used for removing wrinkles afterwards). 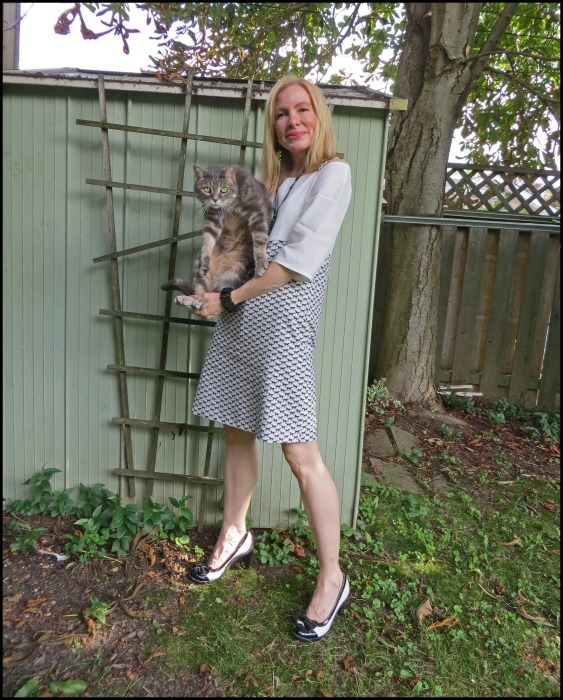 You also don’t require an ironing board and it is Kitty-safe if he happens to knock into it! I added white iron on interfacing and then sewed all around it, to finish off the raw edges of the folded straps. It adds strength and ensures that the black horse pattern does not show through the white bodice after I sew on the straps. I overlocked the seams and hand sewed a blind hem. I was able to stitch the hem to just the white underlining, so that it was truly invisible on the right, horse fabric, side. Self-lined bodice and underlined skirt; overlocked seams; hand sewn blind hem; interfaced raw edge straps. The sleeves were a bit wide and did not touch my shoulders, plus I found them to be really boxy. So rather than just taking in the seams to make the sleeves smaller, I added a dart to the centre of the top of the shoulder on the sleeve, to alter the fit, and to provide some roundness and shape. I have no idea if this is the ‘right’ alteration to make, but it did work out perfectly! The sleeves fit great on the drop shoulder now and have more of a round shape to them. Kitty indicating darts added to shoulder area of sleeves. Drop shoulder sleeves and straps detail. Next time, I’ll narrow the sleeves. They’re looking a tad too boxy and wide. The only alteration I would make for future Burda 7221 garments (and I do believe there will be more as I’ve already cut out the pattern for version B, the tank top) I will narrow the sleeves by about 2 cm (3/4″) as I felt they were a bit wide on my twig arms. Also, keep in mind, the pattern runs long. 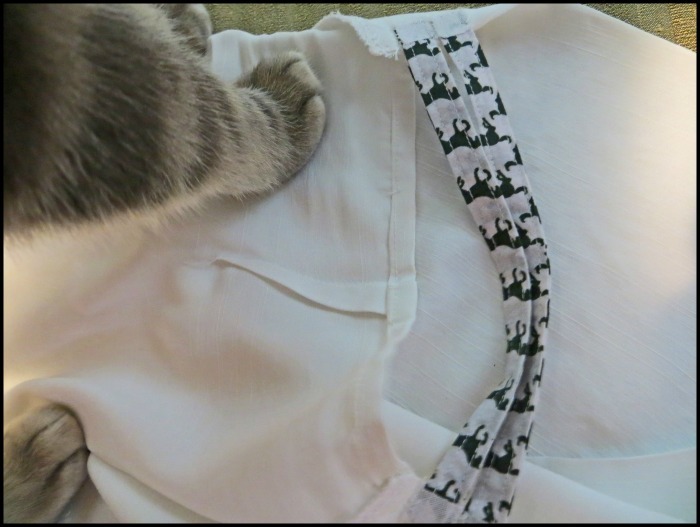 I shortened the bodice by 3cm (1″) and the skirt by 6cm (3″). 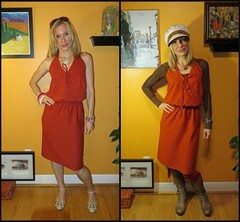 I find this dress easy to wear and fairly casual without looking sloppy. I’ve no idea why practically nobody else in the world has sewn it! But, perhaps it’s a testament to my, ummmm, fabulously avant-garde style?? Yes, that’s what we’ll say. 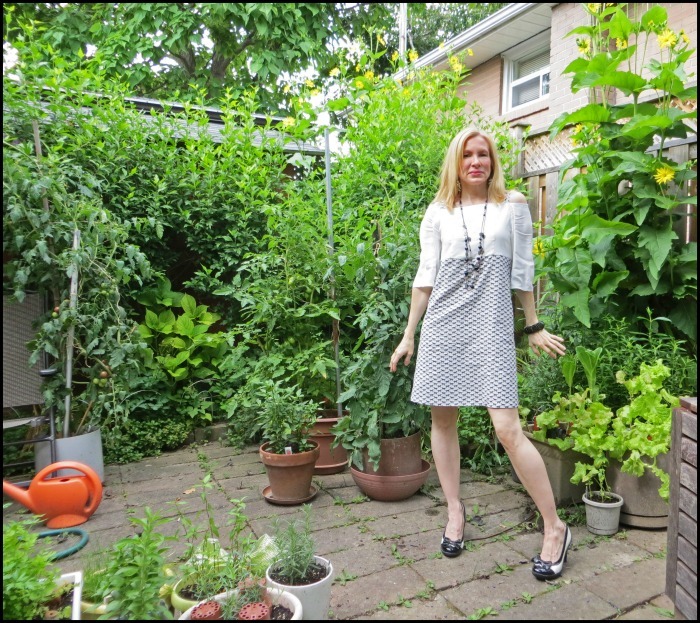 Me and my Burda dress in the Garden where literally hundreds of tomatoes are forming. Ooops, sorry a little distracted by my tomato plants; Oooooooooh! ; An almost ripe one!! Black Cherry Tomatoes (will turn a Merlot wine colour); Roma Tomatoes; Zebra tomatoes (these are huge, can’t wait to see what colours they turn). 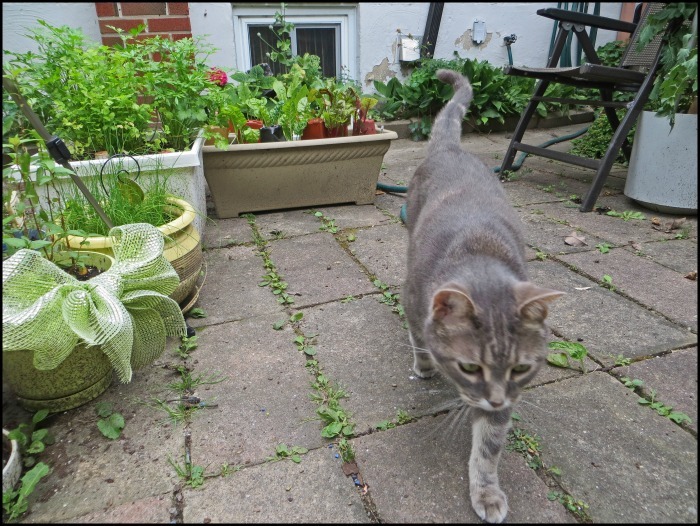 Kitty’s Eye View of the Garden. 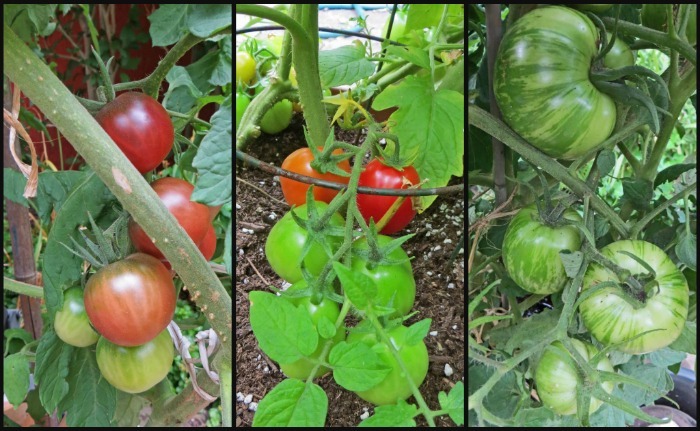 If you are in the ‘hood in the next 2 to 4 weeks, drop on by and we’ll have bruschetta, gazpacho, pasta marinara, Bloody Marys/Ceasers and caprese salad. 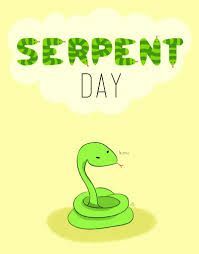 Sssssssay Sssssssewist; Sssssssome Ssssssuper Ssssssassssssy Ssssslackssssss? Sssssssenssssational! 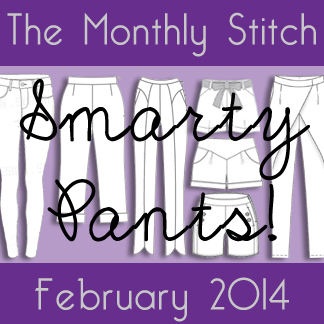 February’s Monthly Stitch Challenge is Smarty Pants where we try our hand at trousers of all kinds! As you may already be aware, trousers/pants are not the easiest thing in the world to fit. So, for my contribution, I went with a fairly simple pattern, no pockets or front fly and used a stretch twill. Not only is the stretch fabric far more comfortable, but it really is easier to fit. 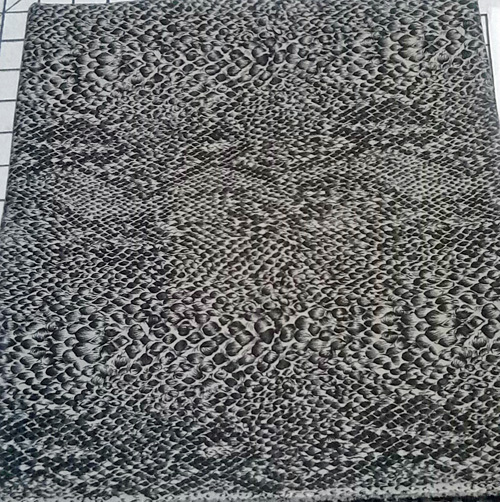 I’ve had this super-fantabulous snakeskin print stretch twill in my stash and envisioned slinky, straight legged trousers sewn with it. 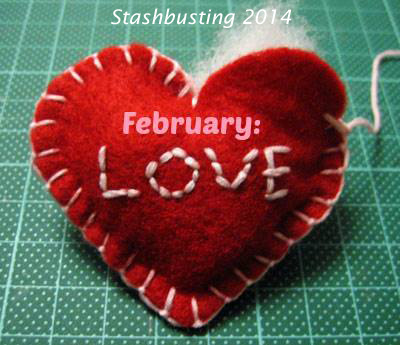 And, since February’s Stashbusting challenge is Love: sew for somebody you love or sew about something you love, it seemed only appropriate to use an animal print fabric since (I’m sure it’s no secret or shock), I Love Animals! 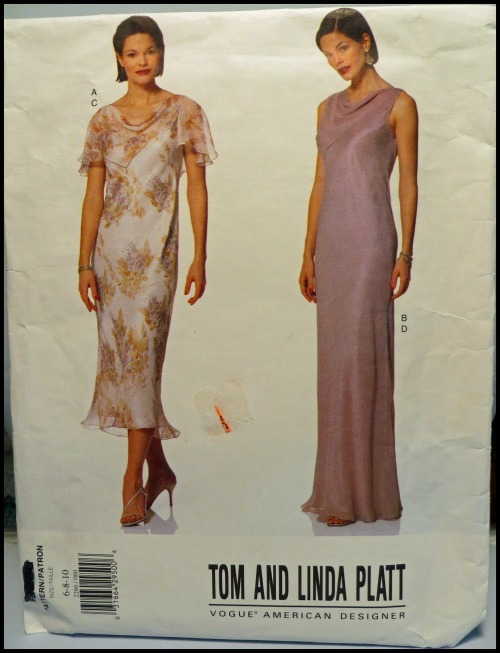 The pattern I used was Burda 7141 since it had very little embellishments and would appear very simple and snakelike. I measured the paper pattern and ended up adding 1.5″ (4cm) to the top, thereby lengthening from waist to hip. The end result of this is that the front ended up being a bit too high and the back ended up being a bit too low. I guess I should have taken curves into account. So, next time, I will add only 1″ to the front and at least 2″ to the back. I wasn’t sure what type of interfacing to use for the facing, but consensus of the ever helpful sewcialists on Instagram (thank you!!) was to use either Pro Woven fusible weft , which I did not have, or knit, stretch tricot interfacing, which I did have and used with the stretch going cross-wise. 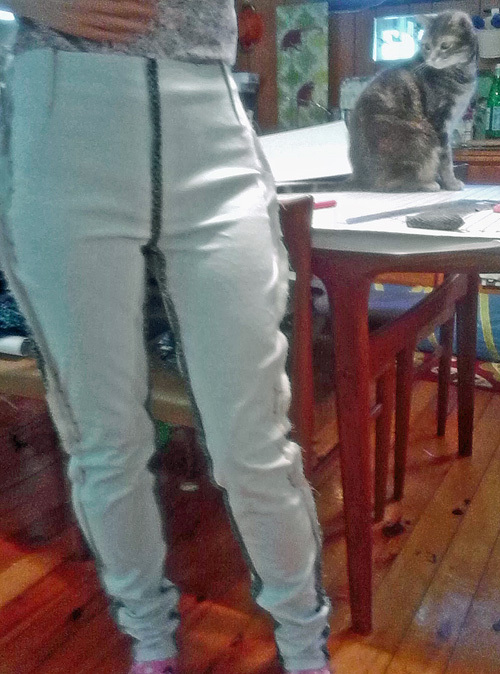 I made the smallest size, 8, which did correspond to my measurements, but the pants ended up being very large even after I measured and adjusted the paper pattern. This could have been due to the fact that my stretch twill had a large amount of stretch to it. I had to take in about 2 cm (3/4″) of the entire inside leg seam and then put them on and ‘fit’ the rest of the baggyness by pinning the outer side seams to fit my shape. Two darts are better than One! I took in enough so that they weren’t baggy but I still wanted them to have some breadth. My lovely sewing teacher at community centre sewing class, Natallie Chin, put in a second dart for me in the back, rather than just taking in more from the side seams. This was a great idea as it gave the trousers shape instead of making them look like skin-tight leggings. 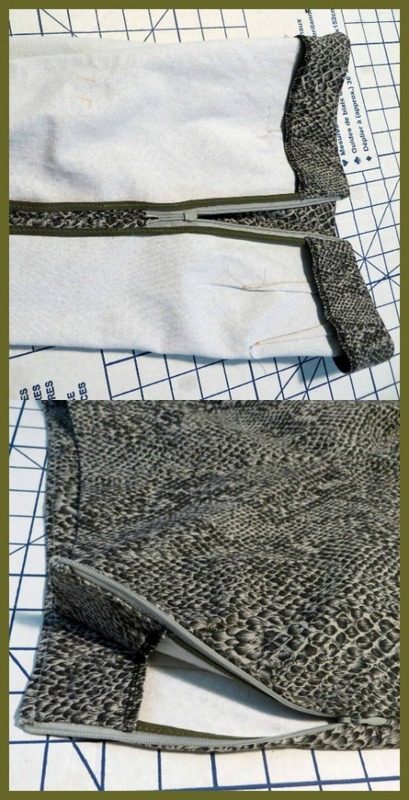 The side seams were bound with an olive green bias tape. Naturally, because this will make the snake feel at home in its natural environment. 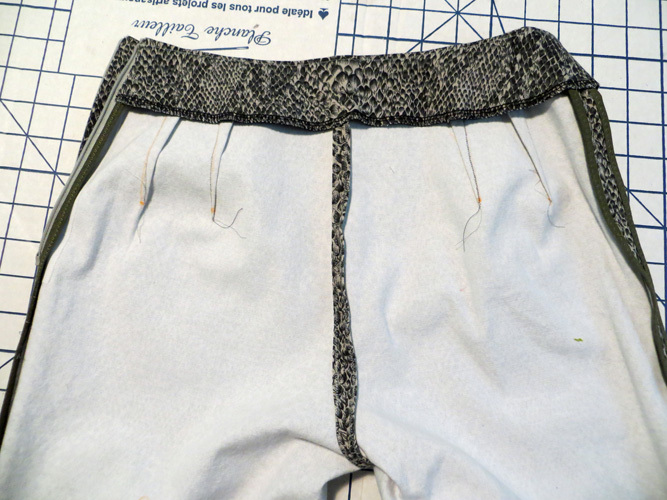 I finished the inside leg and crotch seams by turning under the seam and zigzagging in an attempt to reduce bulk in this area. And, I opted for an invisible zipper so that the fabric takes centre stage. P.S. Have you voted for my March’s Miss Sew Bossy Patterns yet? There are four patterns to chose from (pics of each included) and you get to boss me around as to which one I have to sew for March! The poll is here, please drop by and vote! Voting closes February 28, 2014. 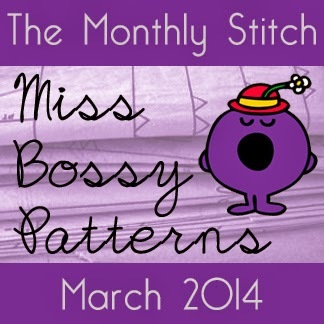 I need your vote for The Monthly Stitch’s March Miss Bossy Patterns challenge. 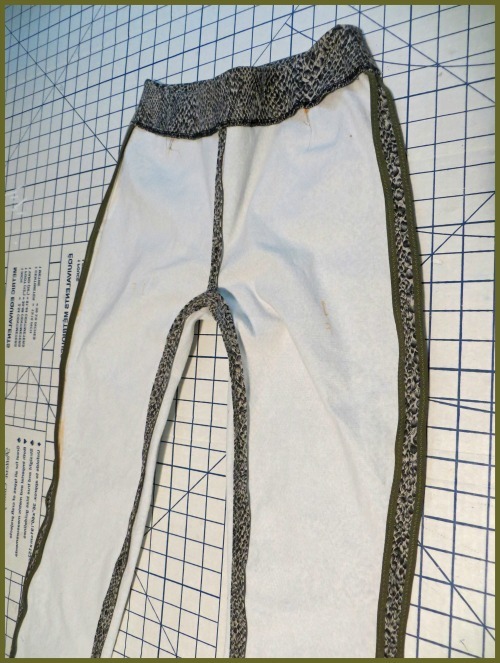 We need to select a pattern from our ‘stash’ that has never been sewn (by us) and, yup you guessed it, finally sew it!! But, as an added twist, we need to have you nice folks boss us around as to which pattern to sew. Welllll, I have to say, this was far more challenging than originally thought. 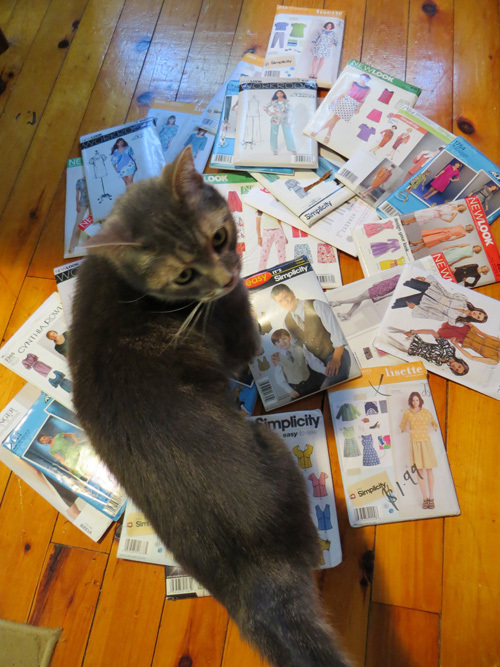 I had much difficulty reducing the enormous pile of patterns, even with the help of our gracious and talented Kitty. Alas, after much debate, I wanted to make sure the vote was on a level playing field, so I selected 4 Dress patterns that have similar lines. They all have some kind of gathered and/or drape neckline bodice, a fuller skirt of varying widths and a choice of sleeves. 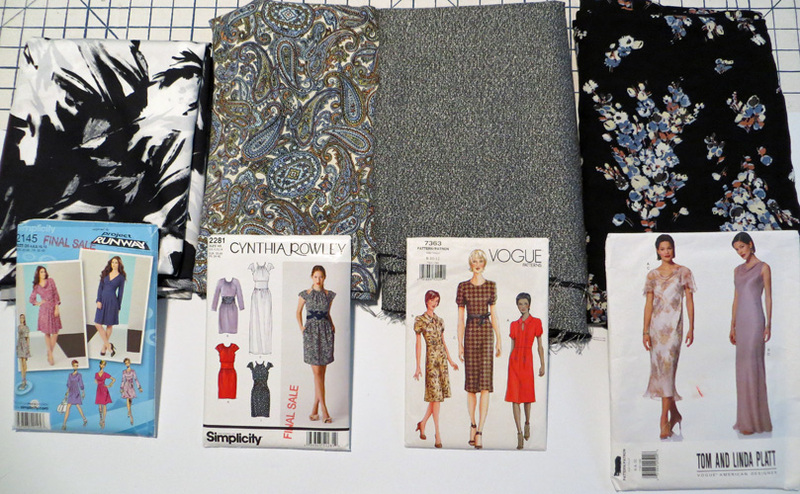 Fabrics for each pattern correspond, so I selected 4 fabrics, also from my growing stash, and paired it with a pattern. All of the fabrics have similarities, although they are different types. They are in the same colour palette, are lightweight and drape very well. Here are the Fabrics….Oh Sigh….. So, tell me what you think. 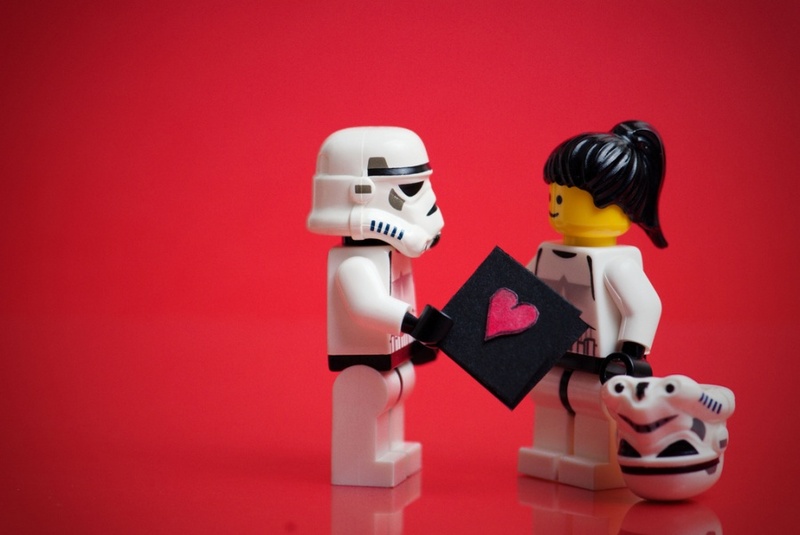 Vote your heart out! Thank you for your help Jedi Masters. Here are the fabrics paired with patterns after His Royal Highness has moved. Thoughts? Edit – February 28, 2014: Poll is now closed. Thank you ALL so much for voting! Continuing on in our theme of Patterns Nobody Has Sewn, I present to you: The Convertible Sundress! #Frocktails with the @torontosewcialists last night. Was a lot of fun getting to meet new people and chat with familiar and lovely faces. Thanks @hilsyb for organizing.